Revolutionize the way you source candidates with TalentLyft Hire Extension for Google Chrome. Sourcing candidates is a very time consuming method to acquire candidates, but it is also very rewarding. To get the best candidates, you need to reach out to them. While you need to use your own knowledge to browse candidates and screen profiles, we have created TalentLyft Hire Extension to help you with importing them to your TalentLyft account. 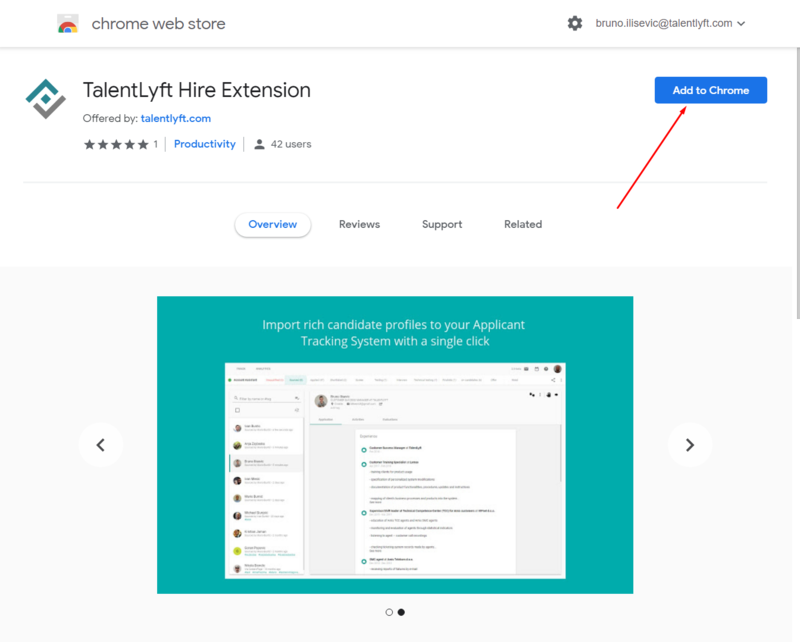 TalentLyft Hire Extension is a Google Chrome plugin which makes your sourcing easy and fast by allowing you to import candidate profiles from the most popular online networks such as Twitter, Linkedin, Stackoverflow, Github, AngelList, Codeproject and Dribbble. 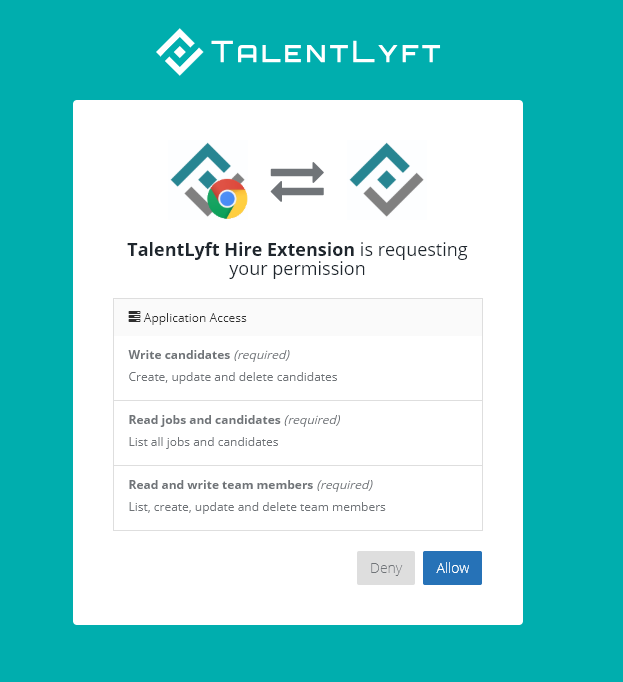 To use TalentLyft Hire Extension, you need to have a TalentLyft account and add the extension to your Google Chrome web browser. Find the extension in the Chrome web store or click here and click on Add to Chrome button. After you've successfully added the extension to your Chrome browser, an icon will appear to the right of your Address bar in the browser. This is the TalentLyft Hire Extension icon and it is now a part of your Chrome browser. Open a candidate profile on one of the supported online networks. Click on the extension icon in your browser to start it. 3. 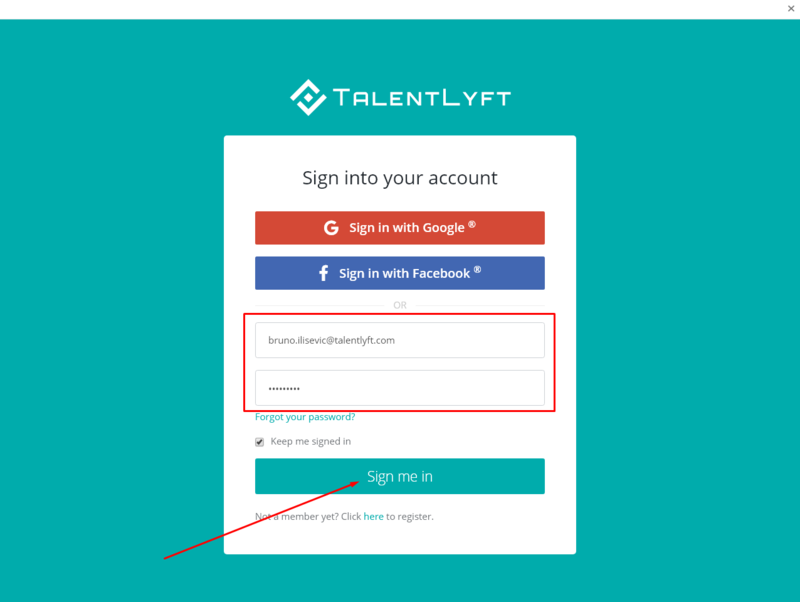 Click on Sign in button to sign in to your TalentLyft account. 4. A log in screen will appear, enter your authentication data and sign in. 5. Give the plugin required permissions by clicking the Allow button. Your plugin is now installed and connected to your TalentLyft account which means you can start sourcing candidates. 6. 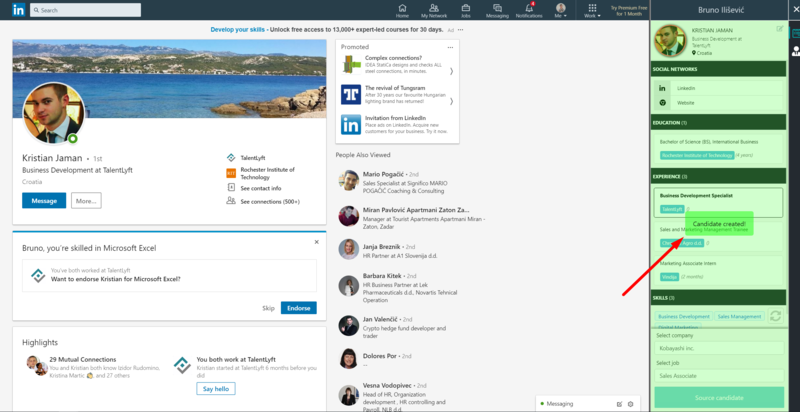 When you open a candidate's profile, plugin will display the information it gathered from this profile on the right hand side of your screen. In order to import this information into your TalentLyft account, just select the company and the job you wish to add this candidate to, and click on Source candidate button. 7. When you succesfully import a candidate to your TalentLyft account, the plugin part of your screen will turn green and a message saying "Candidate Created" will appear. 8. To continue sourcing candidates, click on Candidate created message and it will disappear, enabling you to load other profiles. The sourced profiles are now added as applications to Sourced stage of the job you have previously selected where you can manage them according to your hiring process.